The AW Asia gallery in New York has just released a valuable new resource for collectors and researchers intererested in Chinese contemporary art. Searchable by artist or museum its database, which is available online at no cost, lists Chinese artists held in permanent museum collections around the world. According to AW Asia, the “Chinese Contemporary Art in Museum Collections” database is the first international compilation of its kind, which currently represents 42 contemporary Chinese artists and 67 domestic and international museums. Artists include heavyweight internationally-recognised multimedia artists such as Ai Weiwei, Cai Guoqiang, Zhang Huan and Xu Bing, photographers such as Cang Xin, Hong Hao, Weng Fen and Hai Bo, ink artists Gu Wenda and Yun-fei Ji , Cynical Realist artists such as Yue Minjun, sculptors including Zhan Wang and video artists Yang Fudong and Yang Zhenzhong. AW Asia, a private organization in New York City that promotes Chinese contemporary art through institutional loans and acquisitions, curatorial projects, publishing, and educational programs. Although the database is not yet comprehensive, it starts to shed light on which international museums are validating contemporary Chinese art. 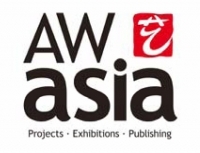 If you are a curator or museum representative with additional information regarding Chinese contemporary art in a permanent museum collection, AW Asia would like to hear from you. Please write to info@awasiany.com. As the database is still under development Art Radar would like to suggest an additional feature: a feed so that news sources can be alerted to the latest additions to museum collections. In the meantime, congratulations on creating a useful new resource. Click to visit the Chinese contemporary art in museums database.